(CNN) – A new poll released Wednesday indicates the presidential race is still locked up between Mitt Romney and President Barack Obama, less than four months before Election Day. 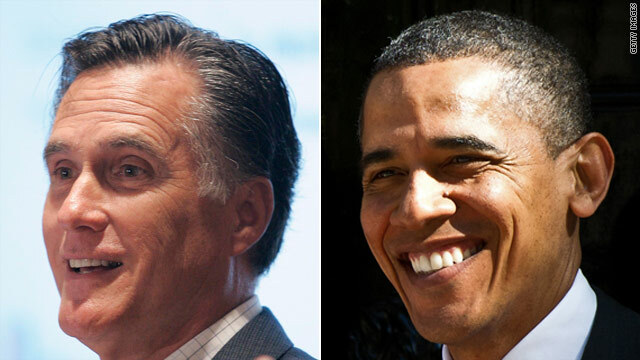 According to a new CBS News/New York Times survey, Romney holds a slight edge over Obama, 47% to 46%. The margin falls well within the sampling error. White House (CNN) - President Barack Obama raised a cool one-and-a-half million dollars in just under an hour on Wednesday, meeting with 25 high dollar donors at Washington’s Mandarin Oriental Hotel. A Democratic campaign official tells a pool reporter each of the 25 attendees donated at least $60,000 a piece to be split between the Obama Victory Fund, a joint fundraising committee of Obama for America, the Democratic National Committee and several state Democratic parties. Just last month the Obama campaign lamented it was out fundraised by the Romney campaign. The presumed Republican nominee announced he raised $100 million dollars in June compared to just $71 million raised by President Obama. 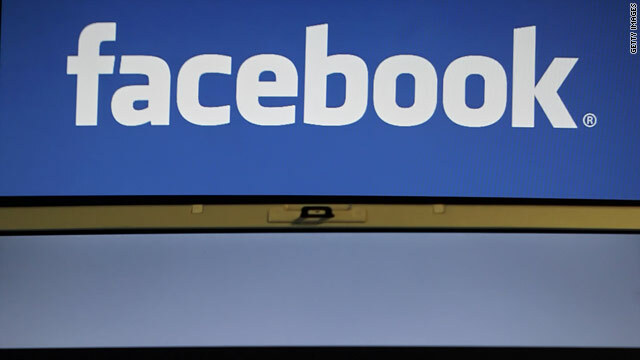 (CNN) - Washington will become the first state to offer voter registration via Facebook with a new application to be launched as soon as next week, according to a state election official. 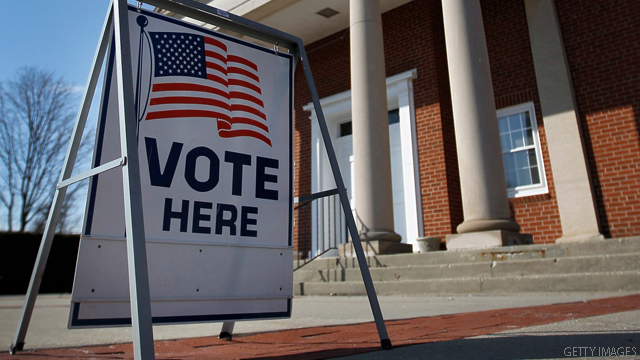 Once online, the app will be accessible on the secretary of state's Facebook page, said Shane Hamlin, co-director of elections for the state. (CNN) – Gearing up for a heated battle in the Sunshine state, top Obama surrogates tried to draw a stark contrast between the President and presumptive GOP nominee Mitt Romney Wednesday. Democratic National Committee Chairwoman Debbie Wasserman Schultz and the Obama campaign press secretary, Ben LaBolt, said the campaign won’t be “ceding any ground to the Republicans,” particularly noting two Florida counties the President lost badly during the 2008 election - Lee and Collier. (CNN) – Former Florida Gov. Jeb Bush, rumored to be among those under consideration for Mitt Romney's running mate, praised the presumptive GOP nominee's campaign on Wednesday for the way it has handled the vice presidential search, and made his own prediction for when Romney will announce his selection. "I like the fact that the Boston campaign has kept it close to the vest. I think it's kind of humiliating for prospective candidates to be carted out in a public way. There's only gonna be one winner, right? 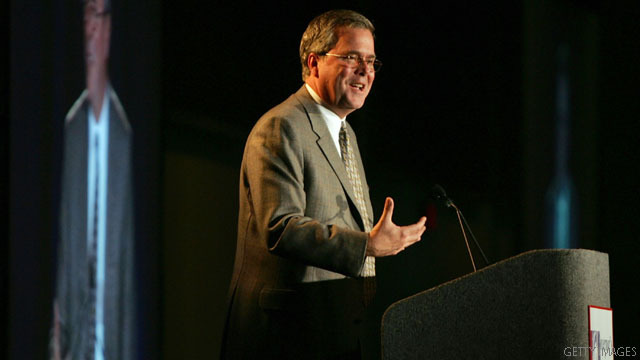 So it's good to do it the way they are doing it," Bush said in an interview with WCPO, a local affiliate in Cincinnati. (CNN) - Ohio: Home to the Rock and Roll Hall of Fame, the Wright Brothers, the Ohio State Buckeyes and birthplace of more presidents than any other state. If that doesn't put Ohio on your map, then consider it is on both presidential candidates' maps. 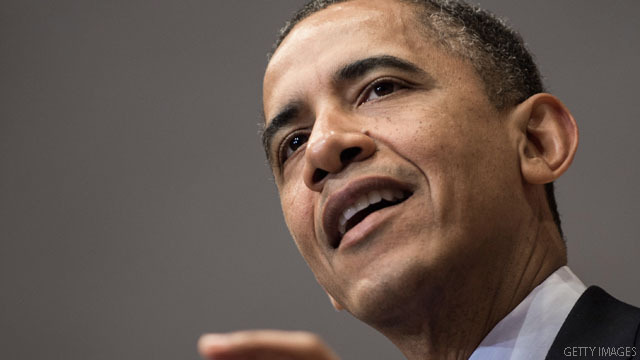 Mitt Romney, President Barack Obama and a number of their surrogates are visiting this week. 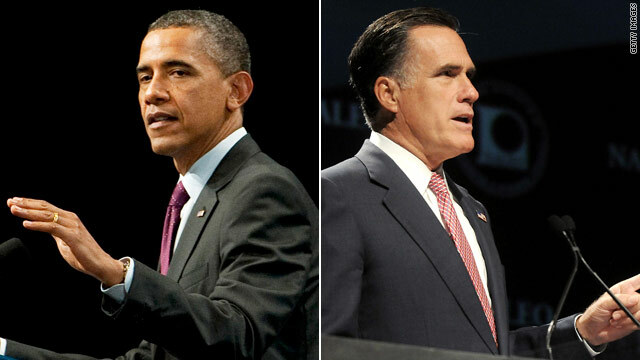 For Obama, it's the 24th time in his presidency, and for Romney, it's the 13th time this year. (CNN) - Former Minnesota Gov. Tim Pawlenty on Wednesday beat back speculation that Mitt Romney needed a "flashy" running mate, saying instead the presumptive GOP nominee should pick a more serious number two. "We have a lot of people who are entertaining, who can light their hair on fire or whatever, but the bottom line is these are serious times, we need seasoned experienced people who get the job done," Pawlenty said on Fox News. 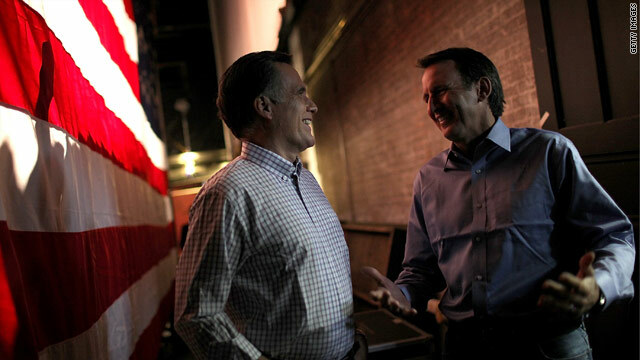 Tim Pawlenty and Mitt Romney backstage at a January 8th Romney rally in Rochester, New Hampshire. CNN’s POLITICAL GUT CHECK | for July 18, 2012 | 5 p.m.
Neil Cavuto: How would you defend yourself from that criticism that maybe Mitt Romney needs a flashy running mate? Tim Pawlenty: Well, I would just say this. We have a lot of people who are entertaining, who can light their hair on fire or whatever, but the bottom line is these are serious times, we need seasoned experienced people who get the job done and if you look at my record in Minnesota in terms of cutting taxes, reducing spending…. Neil Cavuto: Who lights their hair on fire, who are you talking about? Neil Cavuto: Chris Christie? Does Chris Christie light his hair on fire? 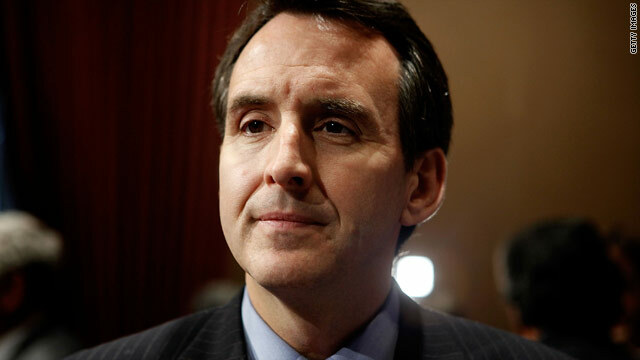 Tim Pawlenty: No, I’m talking about Barack Obama. Barack Obama gives us this soaring rhetoric last time, soaring rhetoric, and it turned out to be a bunch of empty promises. Neil Cavuto: I see what you’re saying, go the other way. They’d go the other way. They’d embrace non-flashy. Tim Pawlenty: Well, I’d also say, relative to who? I’m not as flashy as some, but compared to some others, I think I’m right in there. But nonetheless, I’m not defending it one way or the other. I’m just saying, people - rhetoric and teleprompter and jokes and that kind of stuff doesn’t put gas in our cars. It doesn’t pay our mortgage. It doesn’t pay our health insurance premiums. People are hurting. We’ve got neighbors and friends and loved ones who have given up hope. The country is ailing and headed in the wrong direction and we shouldn’t be debating who is going to be an entertainer in chief. We should be debating who can get this country moving again on the foundations values that made it a great success…. "The terrorist attack today in Bulgaria is a sobering reminder that the scourge of terrorism continues to threaten all free people. My heart goes out to the victims and their families, and to all Israelis who have been the targets of such brutal and cowardly violence for so long. We must stand together in the fight against terrorism, and we must prevail." 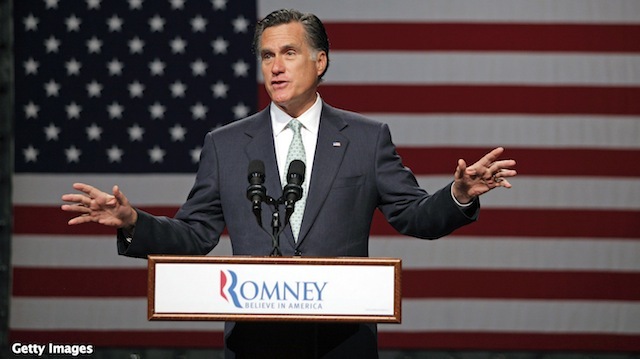 While key Israeli politicians pointed to Iran as the likely instigator, Romney made no mention of the country in his response. 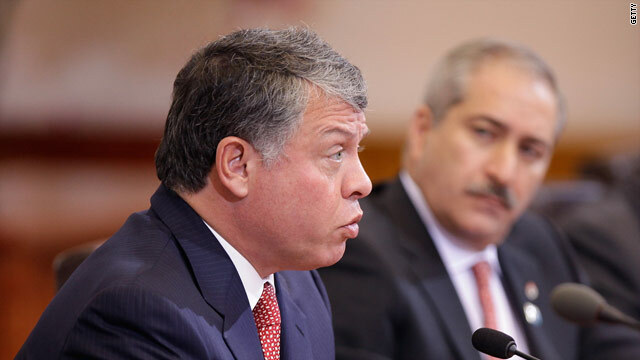 (CNN) – The delicate process of negotiating peace between Israelis and Palestinians is more likely to be taken on by President Barack Obama in his second term than Mitt Romney in his first term, Jordan's King Abdullah II said Wednesday. Speaking to CNN's Wolf Blitzer, King Abdullah said the political reality was that a president without the worry of re-election was better poised to tackle the peace process.